Dr. David Sutherland teaches us about estuaries. We tend to think in terms of fresh water and ocean water ecosystems, but there's a whole lot of life in between. 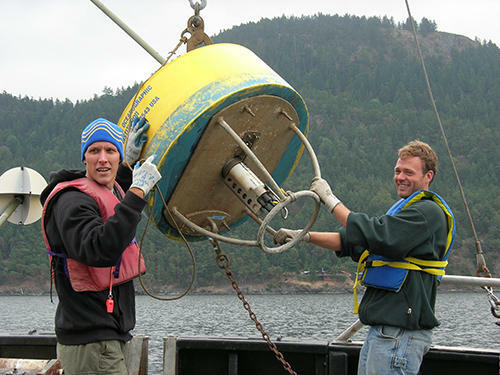 David Sutherland and partner handle water sampling gear. Estuaries, where salt and fresh water meet, are teeming with all kinds of creatures, animal and vegetable. Dr. David Sutherland at the University of Oregon studies estuaries, both close to home and in the Arctic. And he'll deliver a lecture on Friday (December 2) in Coos Bay about how the estuary at Coos Bay functions. Dr. Sutherland visits with a preview. Derek Larson recalls Oregon's environmental activist years. Oregon was green before green was cool. 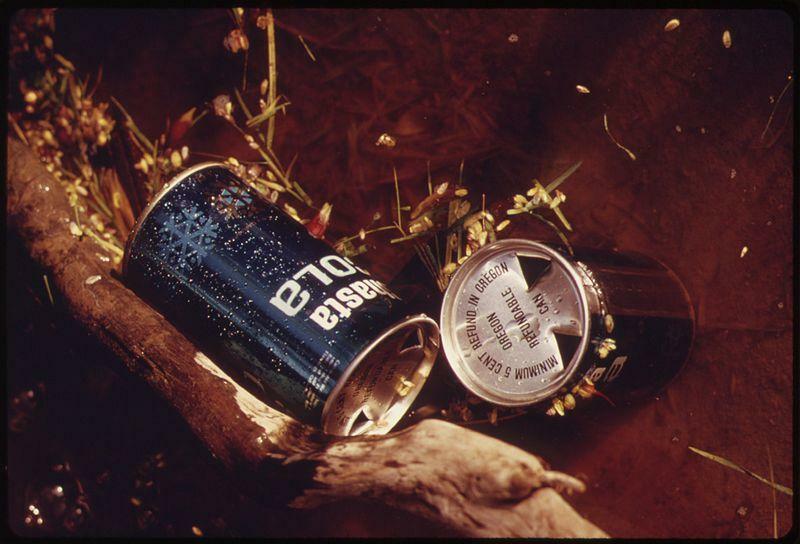 In a twenty-year stretch, the state made great strides in protecting the environment: putting beaches in public hands, requiring cash deposits for beverages to discourage littering, and land-use regulations to keep growth compact. That's just the short list. Historian Derek Larson fleshes out the rest in his book Keeping Oregon Green, just out from Oregon State University Press. Charlie Moore describes the increasing measure of plastics in the ocean. Most of our trash goes out of sight, out of mind in landfills. But plenty of the world's refuse ends up in waterways, to end up in the ocean. And plastics in the ocean can present hazards to sea creatures and the health of creatures up the food chain. 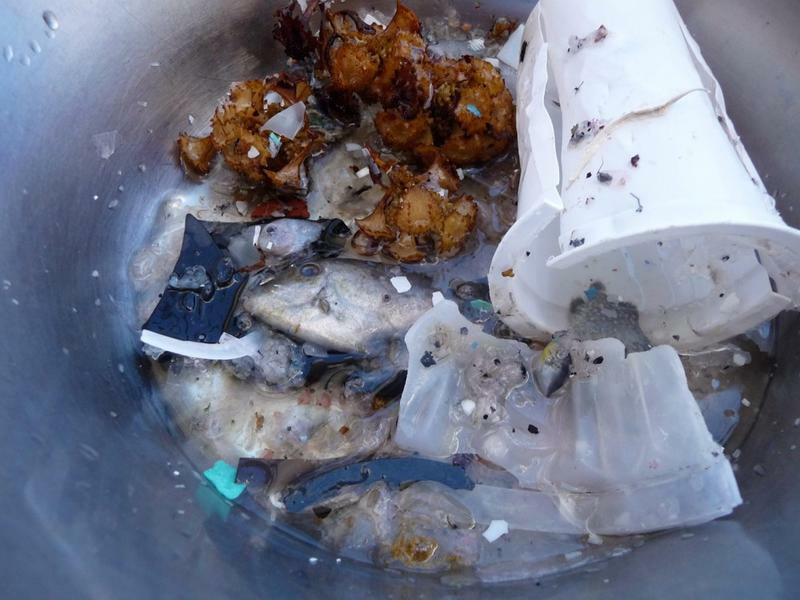 The organization called Algalita is dedicated to studying plastic trash and its effects at sea.